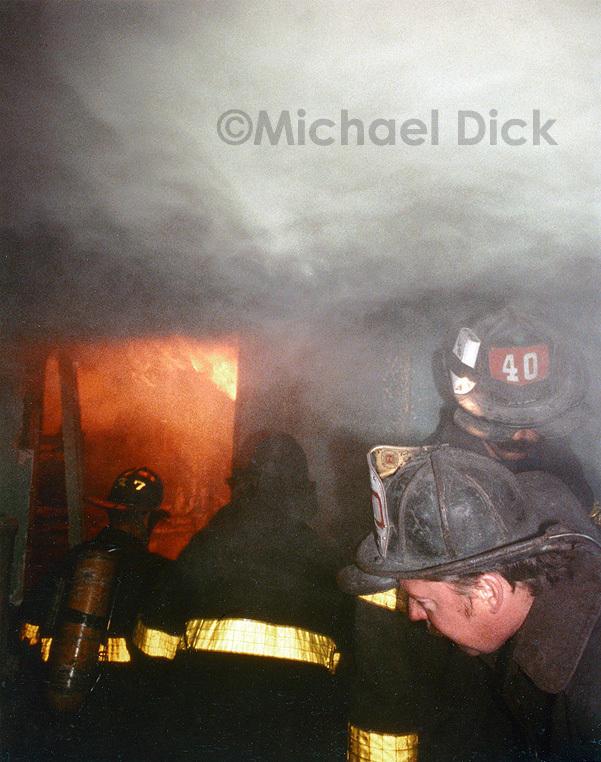 Firefighters from E-37 & L-40 operating at a tenement fire. Second from the left is E-37 Capt. Michael Hartnett (retired Deputy Chief).